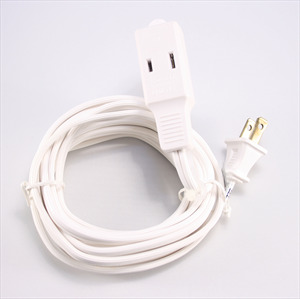 Electrical extension cord for indoor use. Polarized plug 120VAC 13-Amp UL Listed. Ten feet long white color.